Brooklyn is returning to its industrial roots. The manufacturing sector had been primarily concentrated to Greenpoint, Bushwick, Red Hook and Sunset Park. 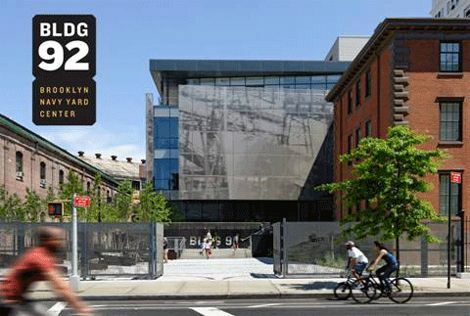 Today, the Brooklyn Navy Yard, with nearly 300 tenants—landscape architects, theater and set designers and metal fabricators, employing more than 6,000 employees—is leading the way for Brooklyn to reclaim its mantle as a manufacture’s Mecca, reversing a trend that saw 24,000 manufacturing jobs disappear from 2000-2010. With Steiner Studios, home to 10 sound stages totaling 131,000 square feet, with an additional 224,000 square feet of support space—the nation’s second largest film and production studio—Brooklyn’s industrial revival acquires a Hollywood glow. With zero vacancy at Brooklyn Navy Yard, it’s only natural that investors will take advance of the demand for light industrial space. The next places to watch: Sunset Park and Wallabout. In Sunset Park we will see a tremendous amount of activity as Andrew Kimball, who turned the Brooklyn Navy Yard around, takes charge of Jamestown’s stake in Industry City—the 30-acre site comprised of 16 buildings and 6 million square feet. In Wallabout, the neighborhood east of the Brooklyn Navy Yard, the city is working to round out Brooklyn’s Tech Triangle and rezone the industrial buildings here to mixed-use residential and commercial—a brilliant solution to create housing and jobs in an area that is currently zoned for only commercial and used mostly for storage. As the light industrial expands, I expect the residential in these areas to be in higher demand, as employees will want to live close to where they work. Whether it’s residential, retail, office, or industrial, there are tremendous opportunities in all these sectors for investors to capitalize on in Brooklyn. Please contact me if you would like to discuss how I can help guide you in your investment decisions.